So how does SAP affect healthcare? What can cloud ERP do to improve the statistics of heart disease? SAP’s relationship with CeloNova BioSciences Inc. sought to improve time-to-market and the ability to decrease time for FDA approvals. CeloNova BioSciences is an innovative global medical device leader transforming the treatment of cardiovascular disease and promoting positive outcomes in patients around the world. CeloNova BioSciences develops, manufactures and markets a family of products based upon its novel Polyzene-F™ nanocoating technology. Before the relationship with SAP, much of their workflow was manual, using spreadsheets, which were slow and did not allow for timely or critical business decisions. They needed a nimble solution, which provided real-time access to information in multiple locations and other processes critical to their business. Therefore, CeloNova chose SAP Business ByDesign. “SAP Business ByDesign is so robust”, says Leah Peene, Business Analyst. “We are utilizing it to process orders, in multiple languages, in 2 manufacturing locations. It provides us with instant reporting, inventory tracking and the ability to make timely business decisions.” This can be a lengthy process – over 21 steps – but was critical, required information to gain approval from the U.S. Food and Drug Administration (FDA). SAP Business ByDesign allows CeloNova to move through this multi-step process with greater efficiency. This critical improvement to workflow has improved time to market, and ultimately resulted in opening the door to making available in the United States. 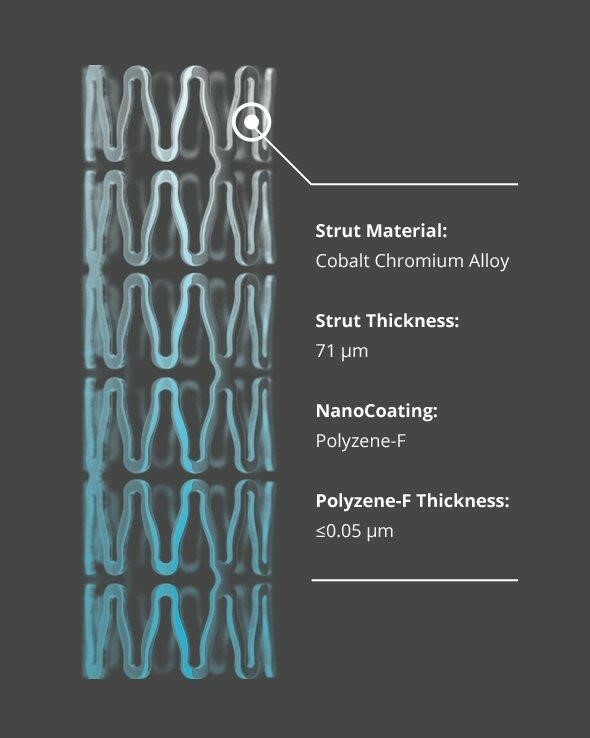 Their proprietary COBRA PzF™ NanoCoated Coronary Stent (NCS) System is their latest generation stent featuring the Nano-thin Polyzene™-F coating. The COBRA PzF™ stent’s unique properties allow physicians to safely and effectively treat their patients who may benefit from a minimum duration of 1-month DAPT therapy per ACC/AHA guidelines. While DAPT therapy after stent placement is known to prevent heart attacks and stent thrombosis, prolonged DAPT substantially increases the risk of bleeding and mortality. SAP Business ByDesign provide necessary information services required to help CeloNova run its pivotal FDA IDE clinical trial, PzF SHIELD. PzF SHIELD successfully met its primary safety and effectiveness endpoints at 9-month follow-up, demonstrating no stent thrombosis and low clinically driven target lesion revascularization (TLR) of 4.6 percent. Stent thrombosis occurs when a thrombus or blood clot suddenly forms in a stented coronary artery impeding blood flow and is a life-threatening complication. The recent FDA approval of the COBRA PzF™ NCS marks a significant milestone for Celonova as they bring a new category of stent with proven clinical promise to the U.S. market. I would say that’s a milestone for all of us! SAP and our Customers. Improving Lives. That is our purpose.